Thank you to all of our 2016 Komen Atlanta Race for the Cure participants and supporters! We hosted over 8,000 people at Lenox Square on Race morning and raised over $1 million dollars to provide breast health services to local women. Catch a glimpse of the Race experience with the video below. Race for the Cure – Georgia-Pacific Messages of Hope from Komen Atlanta on Vimeo. Thank you to our generous Messages of Hope Sponsor, Georgia-Pacific, for your continued support of Komen Atlanta, Race for the Cure, and our mission to enable our community to detect and survive breast cancer! Video produced by TC Productions. To see more photos from 2016 Race. Save the date for our 2017 Race on Saturday, May 13, 2017! WHAT DOES RACE FOR THE CURE DO FOR THE COMMUNITY? The money raised by participants of Race enables our local healthcare partners to provide breast health services for those in need in Metro Atlanta. See our blog to learn more about where the money from Race will go in 2016! 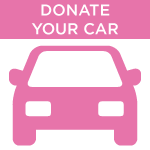 Donate your car and the proceeds will benefit Komen Atlanta. Every purchase you make benefits Susan G. Komen — at no additional expense to you. Link your Kroger Plus Card to Komen Atlanta, and you’ll earn rewards for Komen on qualifying purchases. Amazon will donate 0.5% of the price of eligible AmazonSmile purchases to Komen Atlanta when you shop on AmazonSmile. The Susan G. Komen 3-Day, 60-mile walk, taking place right here in Atlanta is fun, inspiring, and makes a difference in the fight against breast cancer. Do not let the 60-mile distance or the fundraising requirement scare you off! Join us June 18th at 8:30 a.m. for a training kick-off event located at Big Peach Running Company – Brookhaven to learn more!